“Not all men are created equal…Only the finest become Police Officers.” Show your appreciation for the first responder in your life. This design will be personalized with the name and text you would like at the bottom. 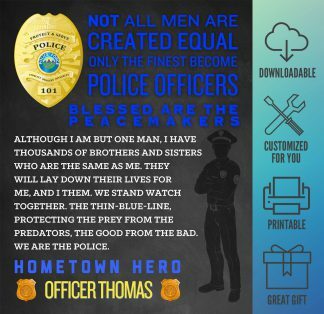 Let your favorite police officer know you care with this inspirational, personalized design. 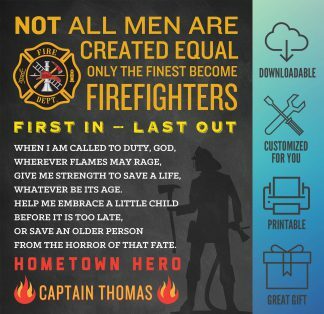 Although I am but one man, I have thousands of brothers and sisters who are the same as me. They will lay down their lives for me, and I them. We stand watch together. The thin-blue-line, protecting the prey from the predators, the good from the bad. 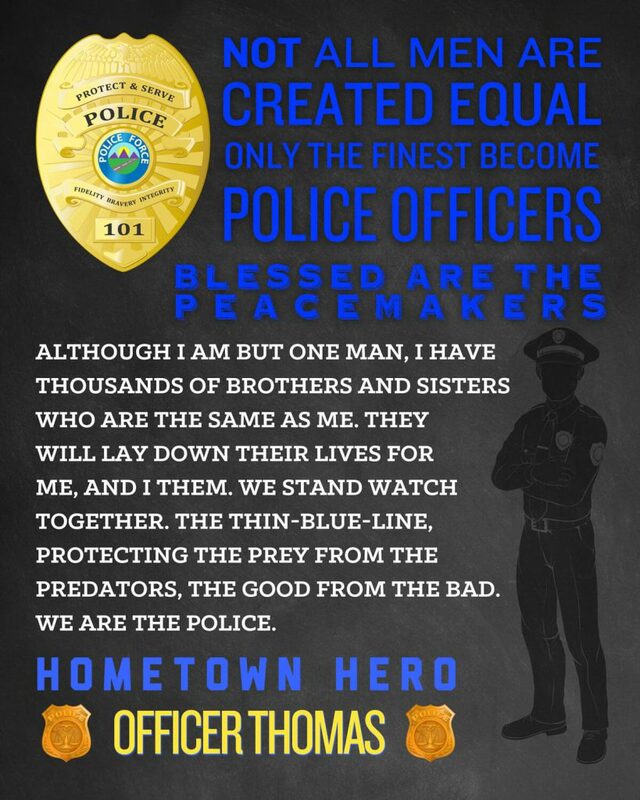 We are the police. Just let us know the personalization instructions in the “Order Notes” when you purchase the listing or by email. 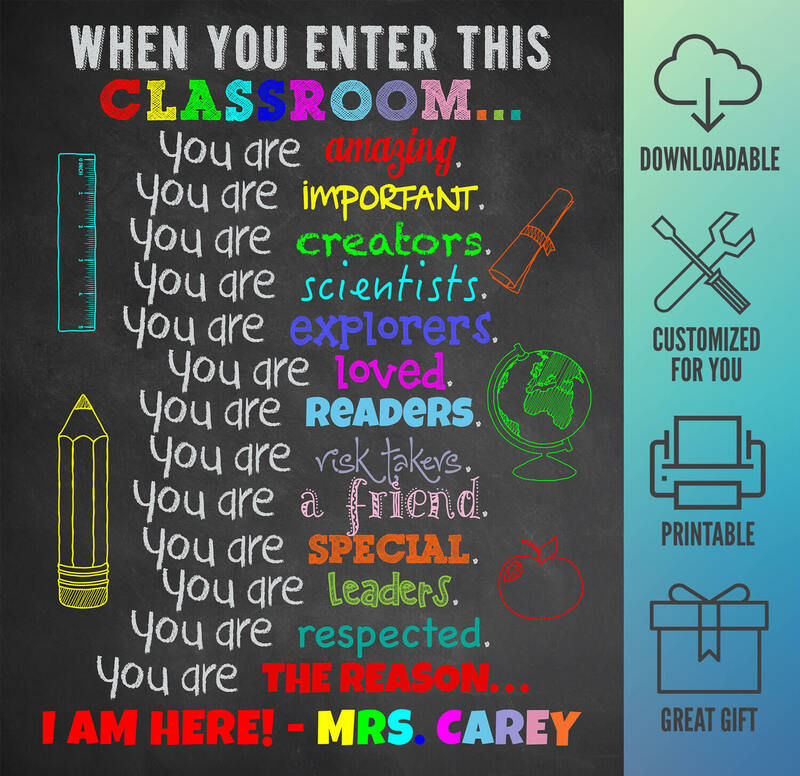 This printable is available as an 8×10″ or 16×20″ digital printable file. 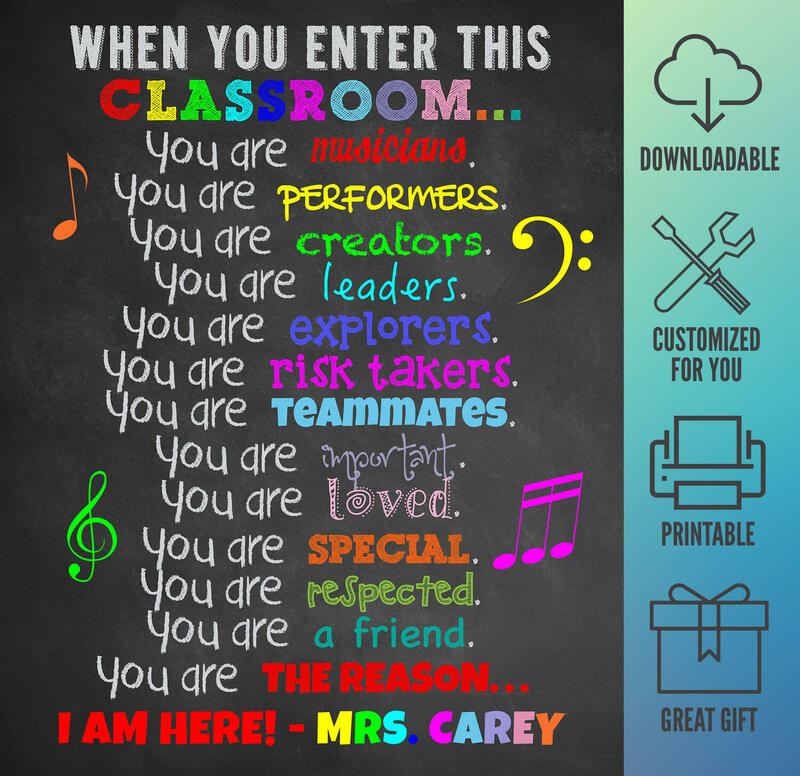 Theme Team Design printables come to you as high resolution digital .jpg files. Digital files will be sent to your email address within 48 hours of payment. Simply print at home or at any print shop, office supply store, or photo retailer. Printing suggestions will be sent with your design. If you have specific questions, just send me a message!